It’s a new year and new you so ladies, let’s talk fashion! With there being so many different types of styles around nowadays such as Bohemian, Hipster, Urban, Scene, Casual, Business, and so many more! But what about a style that is so unique it’s a mix of styles clumped together? IS THAT EVEN POSSIBLE? Absolutely! That style is called Street Chic! This style can be a mix of Bohemian, Casual, and Business all in one! Curious on how to dress the part? Check out these few tricks on how to dress Street Chic. Street Chic is totally trending right now, especially with Fall being right around the corner! So what goes into a style like this you might wonder? Well, as shown above notice the usage of dark skinny jeans and tall knee-high boots! This adds for an adorable sassy look leaving your legs to look longer than ever. What also goes in to one of these outfits can vary between; a onesie outfit, a tight shirt, or even a loose hanging shirt. What also enhances this look is to add a leather jacket or a blazer to give it that high-end I mean business look! The makeup that you want to use for a look like this would be a mix between a drastic and natural look! You definitely want to use a lipstick shade that tends to pop out. A few shades you should try and use are; raisin, bright pink, plum, grey, and even bolder shades like blue, purple, or black! For your eyes you definitely want to try a cat eye as well as a smokey eye for a look like Street Chic. Also, don’t forget your mascara! Ah, jewelry! Music to my ears! However, for a look like this you don’t need a lot of jewelry to complete this style! The key to this look is dressing up your arms. 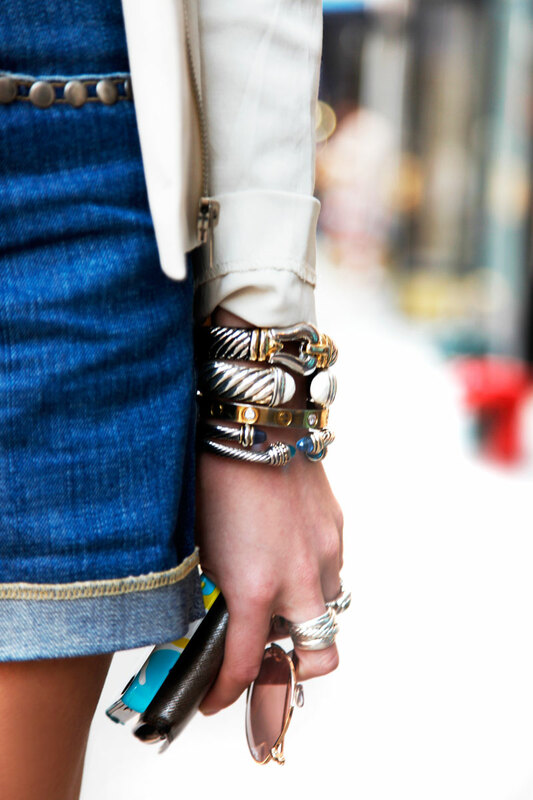 You can use a few bracelets on one arm whether it’s silver or the very trendy shade, rose gold! 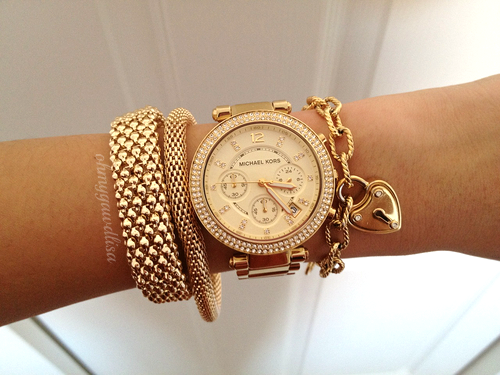 What’s also really cute with this look is watches! So I would definitely recommend wearing a very fashionable watch on the other arm whether it’s a simple color like black or white or even a colorful watch to complete this look! Street Chic is totally trending and it’s definitely a new style that is worth the try this Fall! With it’s awesome pants style to help increase a girls awesome curves, the flexibility to wear whatever type of fashionable shirt to go with it whether it’s skin tight or extremely loose, and the option to dress it up with either a leather jacket or blazer! This look is clearly sweeping the college nation and even making it’s way to the hottest celebrities like Taylor Swift, Sarah Jessica Parker, Selena Gomez, and even Kendall Jenner! So, does this look seem like something you want to try this Fall? If not, what’s missing from this look that’s holding you back? Are you still stuck on one of the styles for this year? Leave a comment below to let us know your thoughts!